RV Sakic Lady, Marlaina and Marshall Lake Bella. Certified Angus is a registered trademark of the American Angus Association, and most people know that it comes from Black Angus cattle. 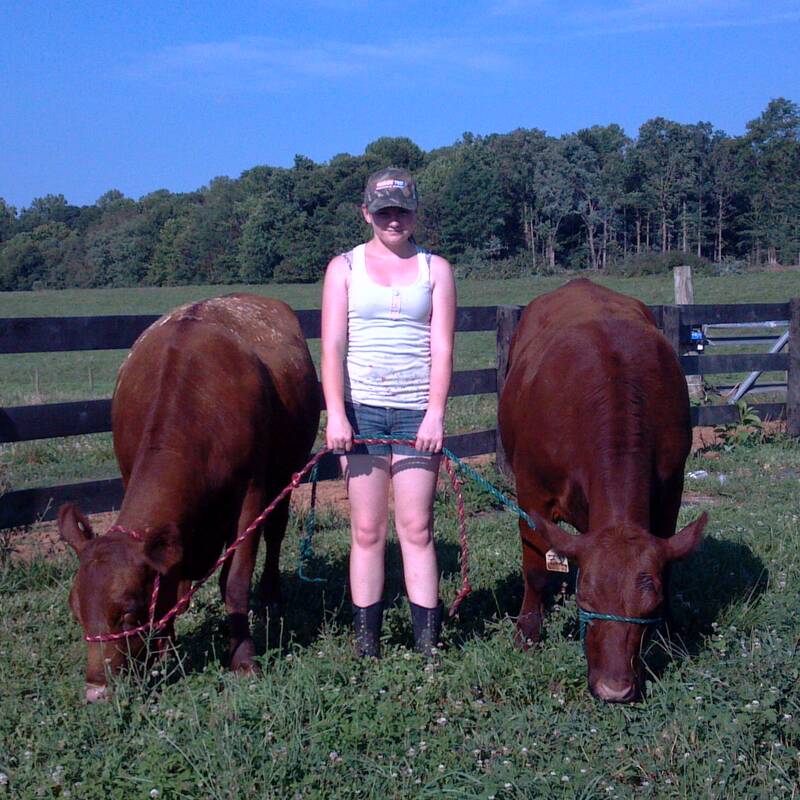 But did you know that there are Red Angus cattle? Like the blacks, they originated in Scotland, and are known for their quality meat and their quality mothering ability. Black Angus is the most popular breed in Virginia, but we prefer the reds. We think they do a better job with the heat and humidity. And they tolerate teenagers.